Hit by the sharp decline in oil prices the Canadian economy is struggling with a property market approaching the peak of a massive bubble, according to ex-Lehman Brothers trader and a financial writer Jared Dillian. As Canada’s mortgage market is not securitized, the property crisis is expected to last much longer than in the US, where the loans are backed, Dillian said in an interview with Mauldin Economics. The former trader says when the bubble bursts; it will be quite different from the sharp and sudden crisis in the US in 2008, due to the structure of the Canadian mortgage market. According to him, almost all mortgages in Canada are “recourse mortgages”, with homeowners behind on payments not able to able to walk away. 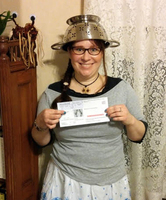 (Boston, MA, Nov. 13, 2015)—The American Humanist Association’s Appignani Humanist Legal Center is pleased that the Massachusetts Registry of Motor Vehicles (RMV) is permitting a Pastafarian woman to wear a colander in her driver’s license photo, a development that occurred after the group’s attorneys were enlisted to assist with the applicant’s appeal. Lindsay Miller identifies as a Pastafarian, also known as members of the Church of the Flying Spaghetti Monster, a secular religion that views the existence of a Flying Spaghetti Monster to be just as probable as the existence of the Christian God. As a Pastafarian, Ms. Miller wished to wear a colander on her head in her driver’s license photo, as an expression of her Pastafarian identity. However, she was denied this request by the Massachusetts RMV. A friend of Ms. Miller’s contacted the American Humanist Association’s Appignani Humanist Legal Center on her behalf. The American Humanist Association connected her to Patty DeJuneas, a member of the Secular Legal Society, the American Humanist Association’s network of cooperating attorneys. Ms. Miller filed an administrative appeal and expected to attend a hearing in October about her driver’s license photo. 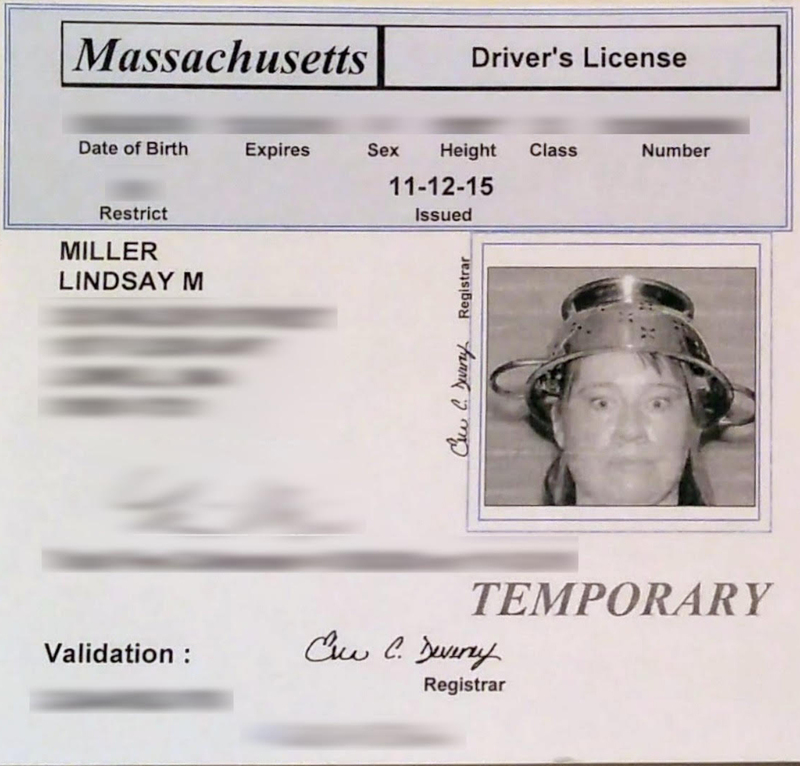 The hearing was postponed, and the Massachusetts RMV is now allowing Ms. Miller to have her photo taken with a colander. “If people are given the right to wear religious garments in government ID photos, then this must extend to people who follow the Church of the Flying Spaghetti Monster,” said David Niose, legal director of the Appignani Humanist Legal Center. A photo of Lindsay Miller’s new driver’s license can be viewed here and here. P.S. — HilLIARy is crazy in the head, literally! To become convinced this is a fact, all you have to do is listen to her accusations of Putin being the ‘godfather of far-right Western nationalism’ and mastermind of Brexit. According to Clinton, Brexit’s Nigel Farage is the Kremlin agent, while American billionaire Donald Trump is – well, who else – also the dreaded Kremlin agent! (NaturalNews) A federal court has ruled that the Department of Justice (DOJ) is not permitted to use any of its money to prosecute people who are in compliance with state medical marijuana laws. “If the federal government prosecutes such individuals, it has prevented the state from giving practical effect to its law,” wrote Judge Diarmuid O’Scannlain of the Ninth U.S. Circuit Court of Appeals. Twenty-five states allow the use of marijuana for medical purposes, while another four states plus the District of Columbia permit it for medical and recreational use. Citizens of another nine states will vote in November on whether to legalize recreational marijuana use. Ending the war on medical marijuana? Yet, although the majority of states now allow regulated use of marijuana, the federal government has regularly carried out raids against people who are simply growing, selling or using medical marijuana in compliance with the laws of their states. In 2014, Congress passed a budget rule prohibiting the DOJ from using its funds to prevent states “from implementing their own state laws that authorize the use, distribution, possession, or cultivation of medical marijuana.” The passage of this rule had no influence on the DOJ’s practices, however. 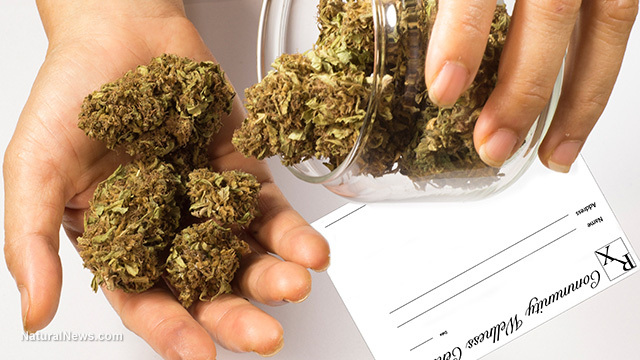 Now the Ninth Circuit has ruled that if the DOJ uses its budget to carry out any enforcement action against people who are following state medical marijuana laws, the department will have violated the congressional order. This means that any DOJ action taken against legal production, sale or use of medical marijuana following the passage of the congressional rule was illegal. Following the court’s decision, five people currently facing charges in San Francisco federal court filed to have their charges dismissed. The defendants are facing federal charges for allegedly operating marijuana stores and growing operations that are legal under California law. “This could be the beginning of the end of the federal war on medical marijuana,” said San Francisco attorney Marc Zilversmit, who is representing one of the defendants. But O’Scannlain warned that the court’s ruling stems only from a specific congressional rule. Thus, it only applies to people following state medical marijuana laws, not to people violating the law or participating in an illegal recreational marijuana business. O’Scannlain also warned that if Congress ever chooses to issue a different rule, people currently engaged in legal medical marijuana businesses might again be vulnerable. The ruling came only a week after the federal Drug Enforcement Agency (DEA) issued a decision upholding the highly restrictive Schedule I classification of marijuana. To be classified as a Schedule I controlled substance, a drug should have “no currently accepted medical use,” “a high potential for abuse” and be impossible to use safely under medical supervision. Thus, lethal and addictive prescription painkillers – which kill more people each year than illegal street drugs – fall in the less tightly regulated Schedule II category. Alcohol and tobacco, which are known to be far more addictive and deadly than marijuana, are not regulated as controlled substances at all. DEA chief Chuck Rosenberg said that the agency relied on an FDA conclusion that there is “no currently accepted medical use in treatment in the United States.” This flies in the face of a large body of scientific data on the medical benefits of cannabis and its compounds. The majority of U.S. residents support marijuana legalization.